Valentine’s Day is a day filled with love and expectation for the perfect romantic evening. However, the unfortunate thing about expectations is that they often are followed by disappointment. This is especially true for one of the most loving days of the year, which is why in today’s post, we will take a look at some of the reasons why Valentine’s Day often ruins relationships more than it brings them together. If you and your sweetheart aren’t feeling the love prior to February 14th, it may be time to seek some professional help from Dr. Eliana Cohen Psychology. Whether you’re feeling depressed or anxious about the holiday, you’re experiencing some difficulties at home, or you want to work out your issues with your loved one through couple’s therapy, Dr. Cohen and her associates are here to help. At Dr. Eliana Cohen Psychology, our psychologists have expertise is a wide variety of mental health issues, so you’re sure to find aid in whatever you need. Contact us today to schedule an appointment. Romantic dinners, flowers, candy — the expectations of a perfect, romantic Valentine’s Day go on and on. Unfortunately, the actual day doesn’t always live up to the hype. Because of this, statistics have shown that many couples will break up either a few days before the day of love, or a few days after for a few different reasons. With social media being what it is, many people feel the need to share their lives on various platforms. On most occasions, sharing a picture of a delicious meal you had or posting about a concert has little effect on your friends. However, scrolling through countless photos and posts about your friends’ Valentine’s dates could cause strain on your own relationship. 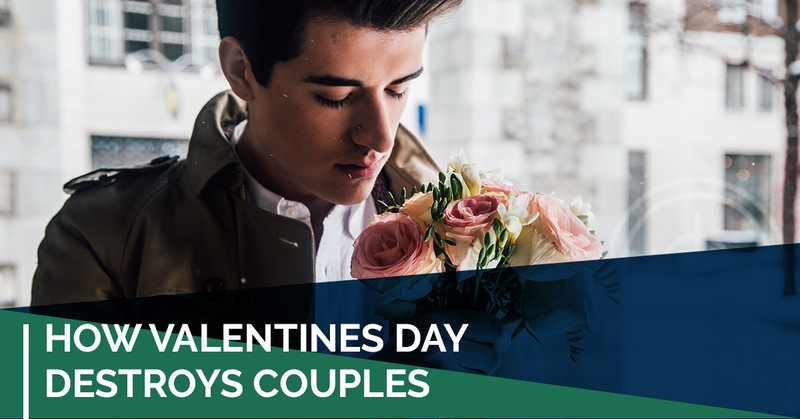 For example: you and your sweetheart decided to stay in for Valentine’s Day, order Chinese food from your favorite restaurant, and watch a movie. In the moment, you were perfectly content with these plans because you didn’t want to eat dinner at a fancy, crowded restaurant anyway. Then, later that night, you decide to look on Instagram and you see that your friend Danielle posted pictures of a delicious looking meal, a fancy red dress, and an adorable snapshot of her and her spouse. Even though you were happy staying in, now you start to compare your night with Danielle’s and you start to feel jealous. These feelings of jealousy could lead to resentment and eventually an argument, all because you compared your night to Danielle’s. Every Valentine’s Day couples have certain expectations for how the day will play out. While these expectations vary from person to person, they all have one thing in common – disappointment. The expectation of flowers, gifts, or a perfect evening in general may not pan out the way you want it to, leading to disappointment. Unfortunately, disappointment is a factor that can later lead to dysfunction in the relationship. That being said, couples who have more realistic expectations usually do better than other couples on Valentine’s Day. Along with the perfect night, many couples choose Valentine’s Day as the day to put up the front of a perfect relationship. Trying to pretend that everything is perfect only puts more pressure on the relationship. If there are already problems in the relationship, ignoring them for one day doesn’t help to resolve the issues and can even make them worse. The idea of Valentine’s Day in and of itself is unrealistic. Couples are expected to save all of their love and affection for one day of the year when they should show their appreciation every day. It’s important for people in a relationship to show affection on a daily basis, even if its something as simple as cleaning the dishes or leaving a nice note on the bathroom mirror. Even the littlest things when expressed more frequently than one day a year will make a huge difference in the relationship. If Valentine’s Day has taken a toll on your relationship and you’re looking to work out your issues in couple’s therapy, Dr. Eliana Cohen Psychology can help. Our expert psychologists offer services for a variety of mental health issues, and we can help you find and confront the source of the problem. Don’t let Valentine’s Day claim your relationship this year. Call Dr. Eliana Cohen Psychology to schedule an appointment today!